Before the beginner’s lesson we often teach a stroll as a warm up. The lesson covers the basic steps, but you will also learn about styling and lead and follow. You might learn more than one move in the lesson so that you can practise joining moves, but the emphasis is on becoming confident and competent rather than learning lots of moves with little ability to actually dance them. In the improver’s lesson you will build your skills in leading or following while learning more complex moves. We usually suggest that you are fairly confident in dancing with triple steps and 8-count Charleston before joining this lesson. The lesson will usually include a short routine of 3-4 moves. There is time for freestyle dancing between the beginner’s and improver’s lessons. This starts at around 8.30pm and usually lasts for about 30 minutes. There is a further period of freestyle dancing after the improver’s lesson. Having tried other classes I can say that your style and delivery is the best!!! 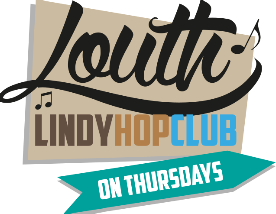 Thursday Nights at the Mayfair Club, Louth. 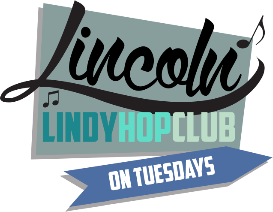 This is where you will find out about our weekly Lindy Hop classes in Lincoln and Louth. We also teach at our social dances: You can learn Balboa at Friday Night Swing and Lindy Hop at Black Diamond Boogie and Nosey Joe’s. 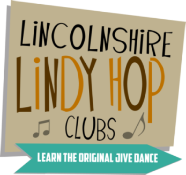 Our weekly classes include a beginner’s lesson, an improver’s lesson and social dancing. Classes are taught on a drop-in basis so you can start on any week. However, do feel free to give us a call if you are planning to join us for the first time, as some weeks are easier to start than others. Tuesday Nights at the Royal Naval Association Club, Lincoln.